Stateline Vision Center’s mission is to provide the best care to our patients with a focus on family values. 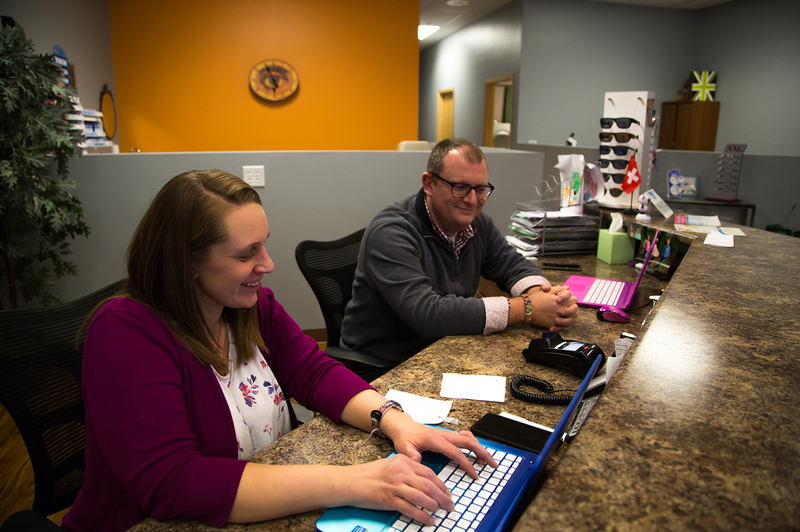 SVC uses the most up-to-date technology and treatment options that you expect from your eye care provider, but most importantly, we treat our patients with the friendliness, care and respect that they deserve. From routine exams to disease management and urgent care needs, SVC will provide the best, most personalized care for you. Welcome to the Stateline Vision Center family! Stateline Vision Center is proud to call Monroe home and we are excited to partner with local schools, clubs and athletics to help create a better community for our families. Your support of SVC helps to make this happen. Thank you for supporting our small business!